The Congress Party on Monday said the Bharatiya Janata Party (BJP) should stop submersing the farmers' woes by raising 'non -issue' like Congress leader Sandeep Dikshit's ' sadak ka gunda' remark for Army Chief. Dikshit, a former Member of Parliament and the son of former Delhi chief minister Sheila Dikshit, has apologised after using the words "Sadak ka goonda (street goon)" for Army Chief General Bipin Rawat. "Ours is not a mafia Army like Pakistani army which makes statements like goons on the street. It looks bad when our Army chief gives a statement like a sadak ka goonda," Dikshit had told ANI. 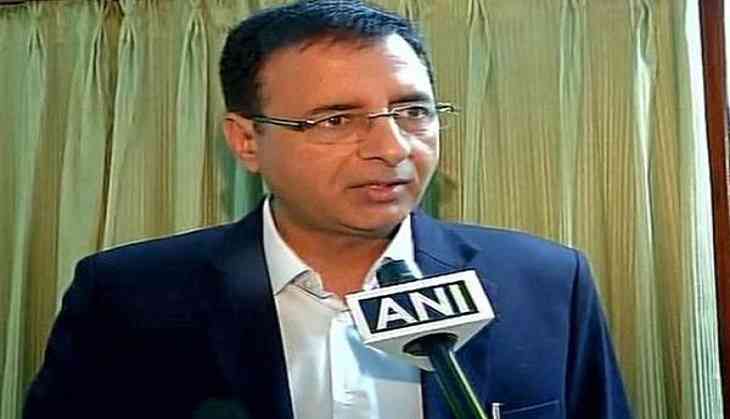 Congress spokesperson Randeep Surjewala told ANI that the Indian National Congress has deep respect for the Army Chief and armed forces of India and has advised Sandeep Dikshit to desist from making such comments. "The Indian National Congress has always stood by the demands of Indian army including the last one on which they were agitating for one rank and one pension. We have advised Sandeep Dikshit to desist from making any controversial remarks regarding Army Chief. For, the Congress does not subscribe to or support such remarks as we find them not good in taste. Post that advisory, Sandeep Dikshit has already apologised publicly for his remarks," said Surjewala. The Congress leader, however, alleged that the BJP was trying to divert country's attention from the farmers' issue by raking up Sadak Ka Gunda (roadside goon) remark. "The BJP should stop converting the agenda of farmers into non issue of this nature and should concentrate on giving a comprehensive relief package to farmers of India who are dying every day," he added. The Congress leader also targeted the Narendra Modi-led Government over the frequent ceasefire violations by Pakistan. "India released Pakistanis as a goodwill gesture but will Indian government tell Pakistan not to kill innocent Indians as a goodwill gesture in return. When will the Prime Minister talk with Pakistan with 'red eyes' and 56-inch-chest'," questioned Surjewala. The Congress leader said that Pakistan has violated ceasefire agreement more than 1400 times since Narendra Modi led National Democratic Alliance (NDA) Government assumed power in 2014. Bihar's Deputy Chief Minister Tejashwi Yadav refused to comment on Sandeep Dikshit's remark over Army Chief General Bipin Rawat. He, however, said that the Army should not be politicised.